PAM sells the DXY and buy EUR, AUD; sells gasoline and refiners -- opportunistic trades. Still waiting for confirmation of a market peak. We sold gasoline for a possible break lower until April 26. (This actual Market Report was written pre-NY market opening, on Wednesday, April 10, and was updated until the NY market closed. Seeking Alpha has been encouraging SA service providers to become more transparent, and show actual reports and interaction between providers and subscribers. We are providing this report to showcase what PAM provides to the members of the community). Why not take a free two-week trial subscription, have a look at us and see if this community of veteran investors is a good fit for you? Here is the Market Report At the Chat, April 10, 2019. Robert P. Balan Good morning Robert. If you have time today, can you give us a heads-up on your thoughts for this EWP. We started Monday and Tuesday with two red days and it appears we will start with an up day today. Since we just finished wave-5 everywhere, what are you thoughts on this new wave count> is today a wave 2 of wave-1? That would be most helpful. have a great day! By the way Robert, are you still anticipating a 50% retracement here? Thanks for the note FT. I will address your queries in the market report today. We start off with the DXY, as we are looking to sell the DXY today. 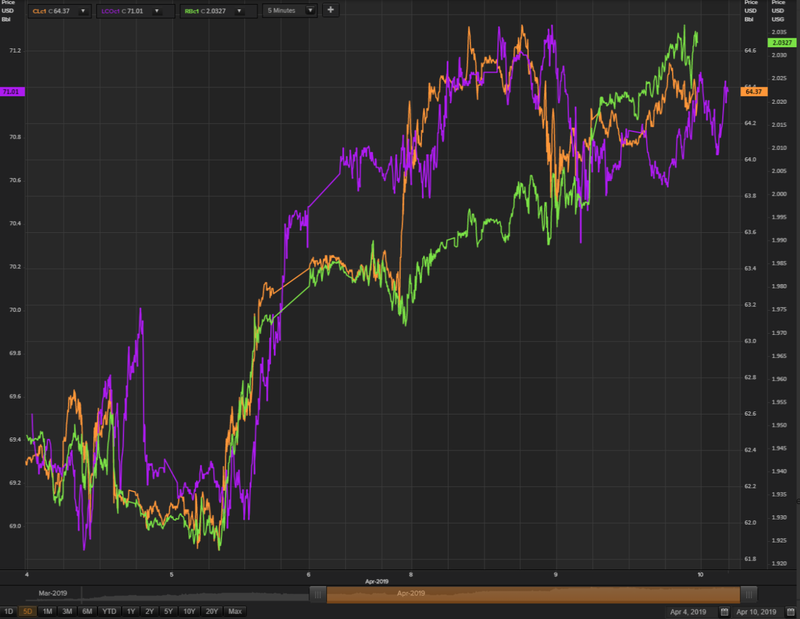 Providentially, we are having a sharp uptick in DXY, which we would like to take advantage of. Last night I uploaded this chart, and it helped us allay fears that the DXY could be a safe haven if equities sell-off as much as we hoped it would. We are seeing an uptick in DXY, and we would like to take advantage of this small rally. I will prepare a official email to document this trade. PAM will use the ETFs listed at the PAM Prospective Trades at the Tool tab. PAM will buy those instruments listed above. I will do the email now. I will get back to the rest in a little while. In terms of Treasury Cash Balances and Yield seasonality trends, the DXY at this time is getting in synch with the 5-year averages of the 3yr and 10yr Treasury yields. 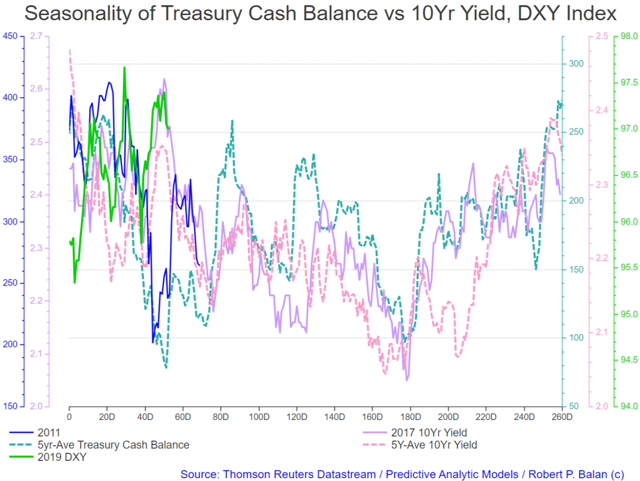 With the TCB and the yield averages looking to bottom on trading day 73, and we are now on trading day 54 we have a good 20 trading days of probably weaker DXY. 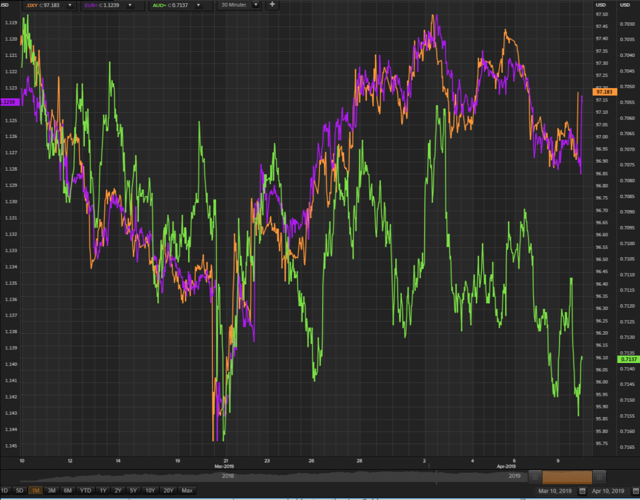 I see that Gold has risen despite a sharp uptick in the DXY, which makes me think that the DXY rally could be a fluke. 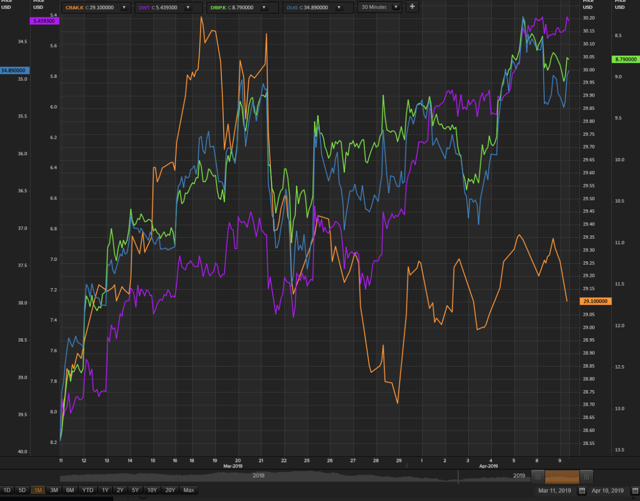 Gold is also following the TCB seasonality amd Yield averages. 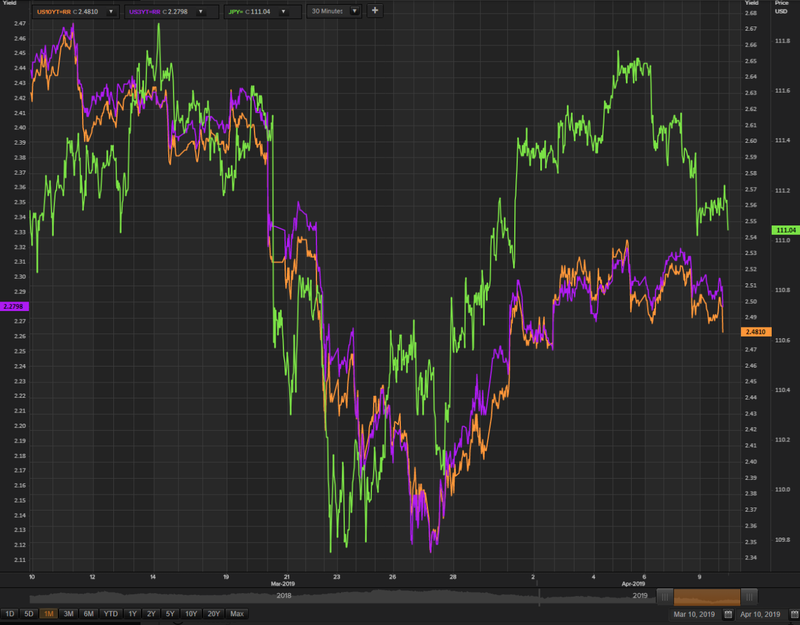 So we have the same analysis for DXY in the inverse -- Gold looks to top on trading day 73, and we are now on trading day 54 we have a good 20 trading days of probably strengthening Gold. 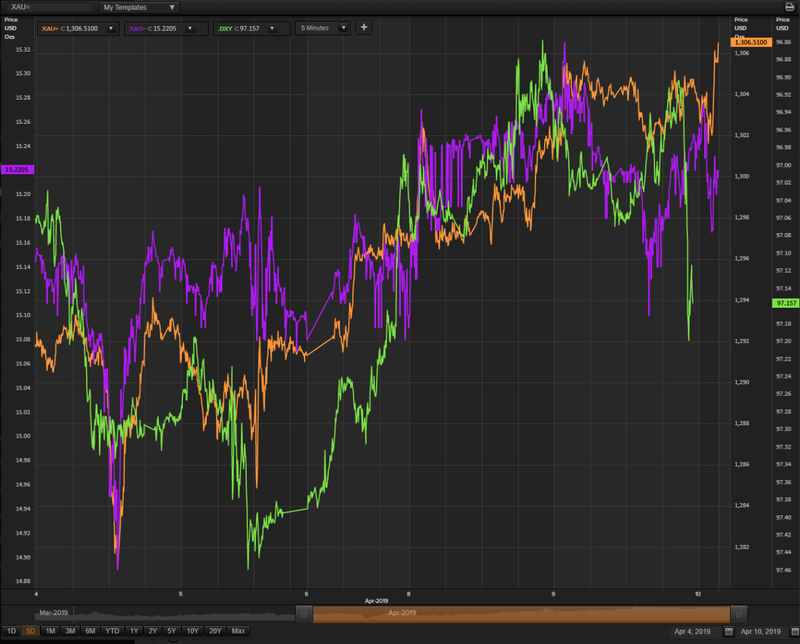 Apes says the EUR was pushed lower by ECB president Mario Draghi, but I don't expect that to have a lasting effect. It just provided better levels to sell the DXY. But we have to rush -- it won't stay at those high levels for long. Especially so, since bond yields look to be predisposed to fall further in a corrective move that we have been describing in the past several days. 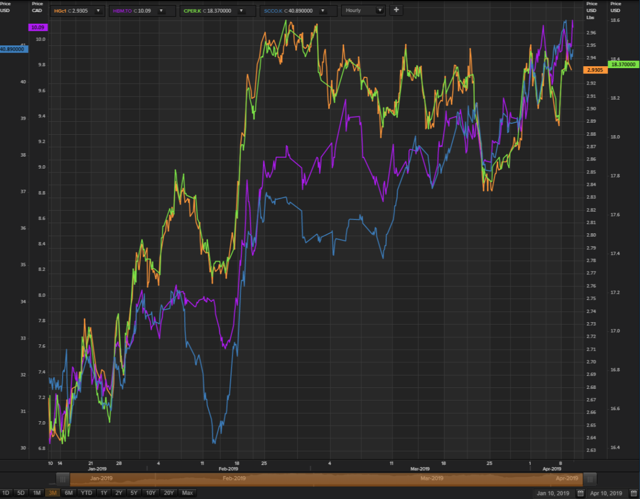 So if yields fall further, then that may have implications in the equity futures movements today. The Dow looks weak, and is likely to complete a five-wave sequence lower later in the day. the RTY mini is almost certainly going to follow lower. The ES and NQ contracts should also do that, but these two are hanging back, will probably fall to a more limited extent. 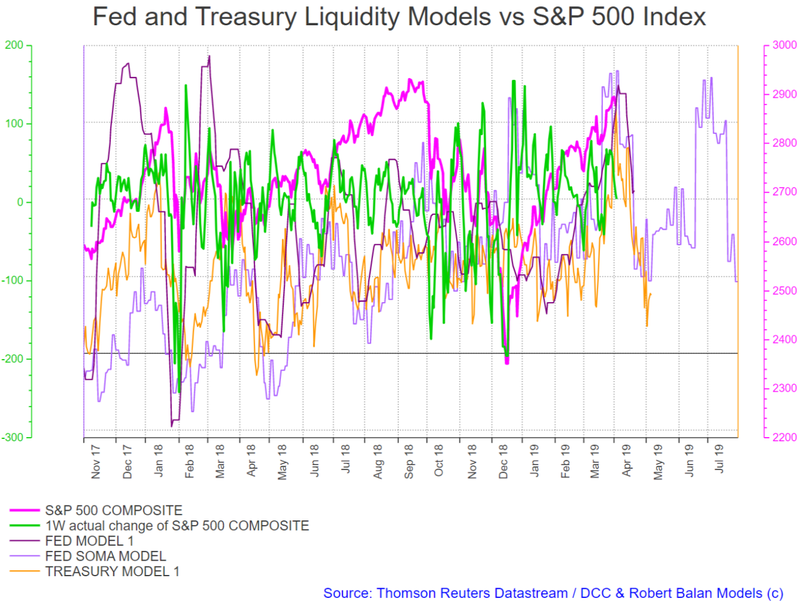 For the first time in several weeks, we see an inflection point lower in the SPX liquidity model. That is a healthy development but we need to see three lower daily closes to establish a trend down south. After responding to the the sell-off yesterday oil prices have risen back. Nonetheless, if equities continue to spiral lower, we should see oil prices respond lower, accordingly. 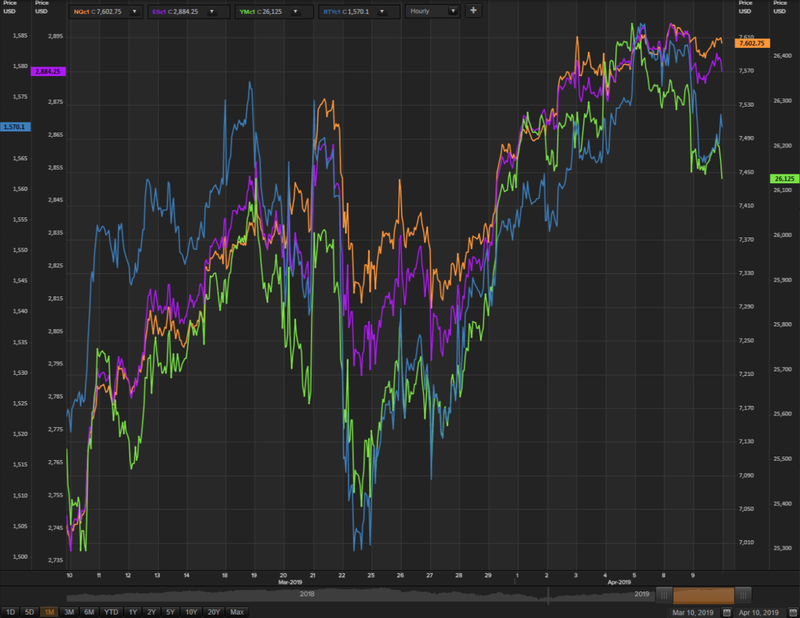 However, we have better luck with the oil ETFs -- all it takes is for the equities to fall further to get more mileage on the downside from these instruments. No movement in the Copper Group. I guess it will take more equity movement than what we have seen so far to elicit a response from the base metals. END OF REPORT, FOR NOW. We will continue the narratives, if/when the market moves well. Oil inventory builds just came out, oil plunged. Thanks JA. I have to see the details. The MMs often ignore the obvious and focus on what they like. Thank you for the reports Robert, it explains a lot on daily market moves. You are very welcome, JA. I am glad you are happy with the reports. The equities seem to think the FOMC meeting today will be bullish. 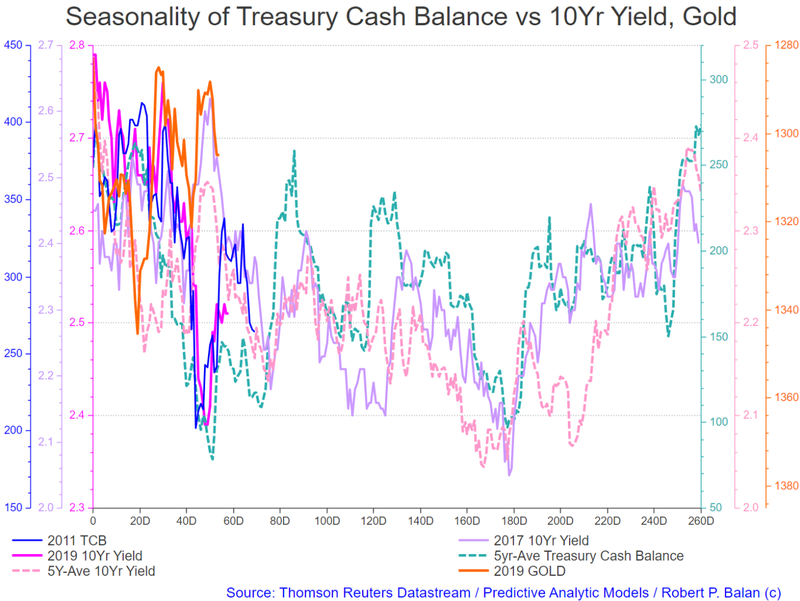 Things look kind of shakey in oil and the yields though. Re the FOMC -- how much more dovish can the Fed get. They are grovelling in the face of Trump and totally surrendered their independence. Just a thought. Do you think the Fed will raise rates in June? No chance in h**l, JA. Yes, indeed wc.happy -- it will form a +B+ wave top of an Elliott irregular correction pattern. 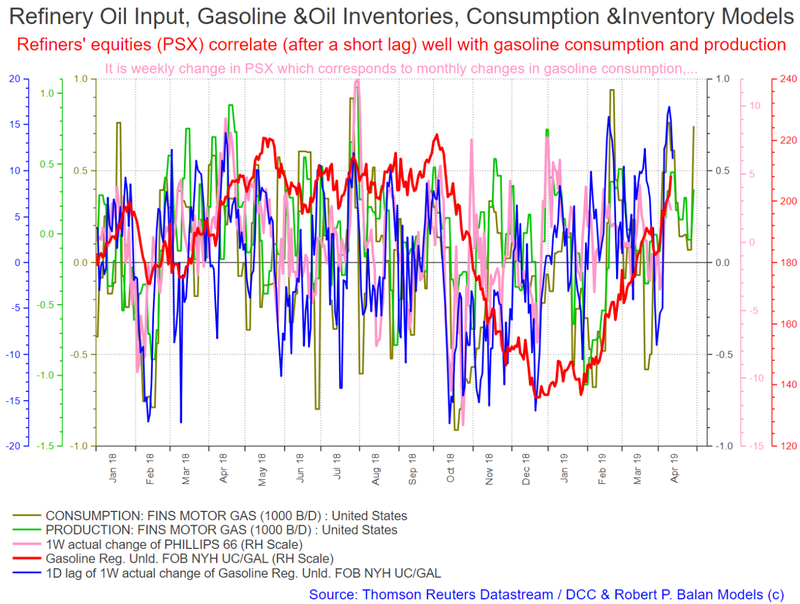 PAM is selling gasoline instruments (UGA). 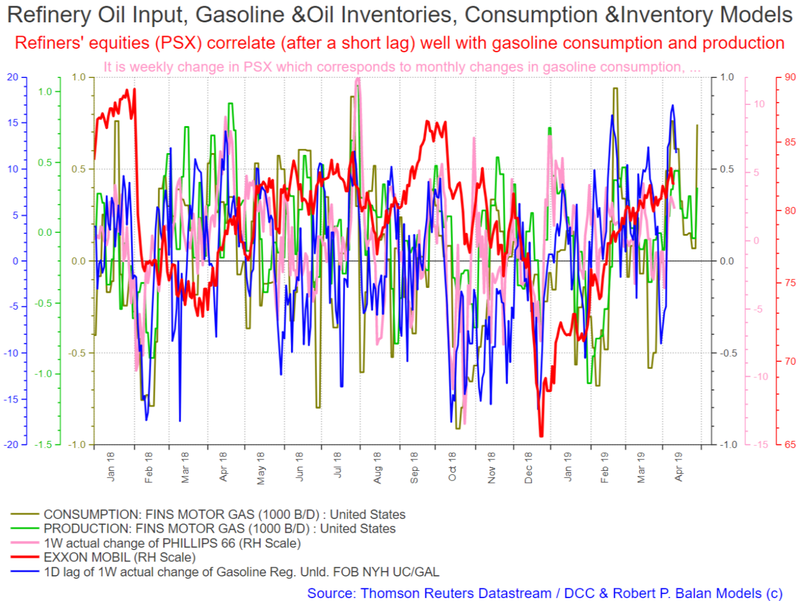 We believe that gasoline prices has become too higher considering the demand/consumption fundamentals. We will send the usual confirmatory email to everyone. 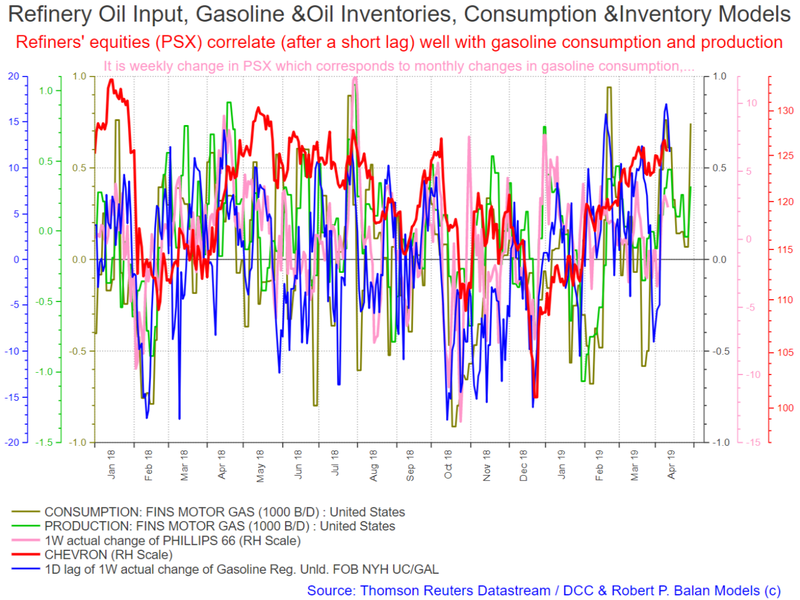 We believe there is a time window for gasoline prices to pullback until April 26. We are also looking for a pullback until April 26 in these instruments. 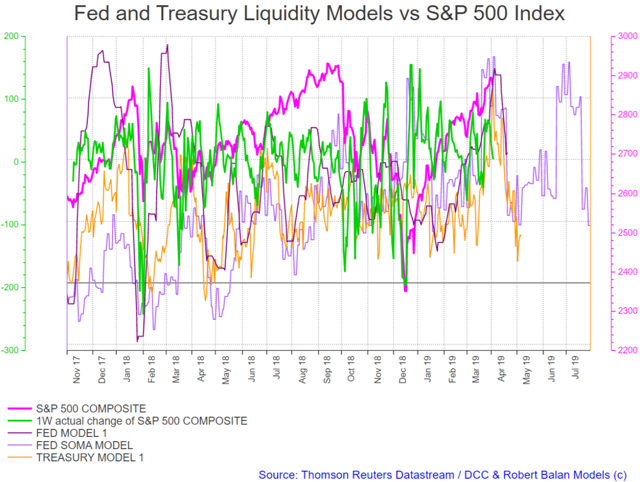 Predictive Analytic Models (PAM) provides REAL-TIME trading advice and strategies using guidance from US Treasury, Federal Reserve and term market money flows. 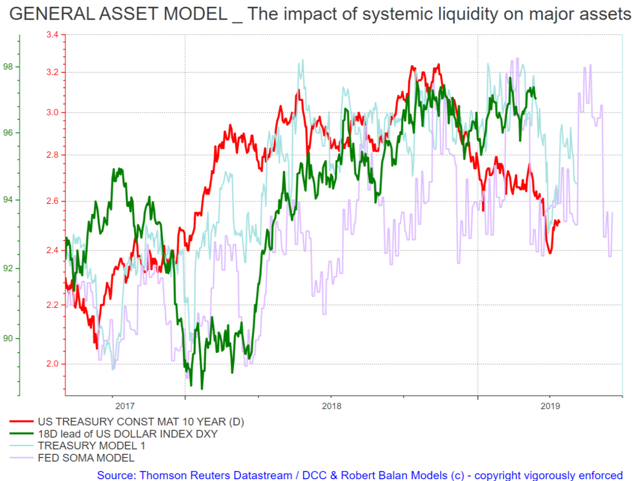 PAM also provides LIVE modeled tools to subscribers in trading equities, bonds, currencies, gold and oil -- assets impacted by ebb and flow of systemic money. Sophisticated LIVE models to trade and invest in the oil sector are provided as well. PAM's veteran investors and seasoned traders can use PAM's proprietary tools 24X7 via PAM's SA service portal. Disclosure: I am/we are long Precious metals.